John’s practice centers on complex cases involving criminal offenses such as DWI, drug possession, assault family violence, charges against youths, and theft. Using a straightforward approach, John focuses on reaching the best outcome for his clients, no matter the situation. When it feels as if the world is against his clients, John works hard to offer a zealous and aggressive defense. He’s a true advocate and is committed to delivering to each client a powerful and effective defense, no matter where they come from. Each criminal defense case differs in severity, but John knows that some clients don’t deserve what’s coming. He knows he can be that strong advocate, believing in his clients and standing with them in court. While pursuing family law, John began to see a need for his skill and approach in criminal defense where he now focuses his practice. Seeing how tough the situation can be for clients, he wanted to provide the same advocacy in criminal defense. Everyone is innocent until proven guilty. This is how John approaches practice and each client. He’s the lawyer you turn to when you seek respect and non-judgment. During law school, John found enjoyment in family law. 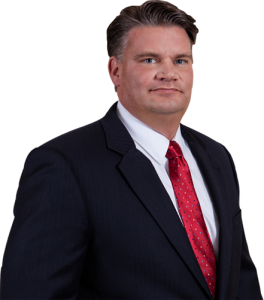 Although criminal defense takes an aggressive approach, he understands that family law requires the same dedication. With experience in divorce, custody, child support, visitation and community property, he brings the same advocacy into family law as he does to criminal defense. As a young child of divorce, John has the first-hand experience of what divorce looks like from the inside. He uses this experience to provide insight for his clients, to help them navigate the emotional aspects of the case and the many transitions. As a child, John grew up all over the world, being a child of a military family. He lived in Korea, Germany and a handful of U.S. states and yet, still loved his Texas home. With family from Texas, he found his way back and graduated high school in the DFW area. John went on to graduate from Texas Tech University with a BBA in Finance. He then attended Texas A&M School of Law to receive his J.D. Texas A & M School of Law, J.D.